A world-class team that will supply you with standard or specialty designed product in a matter of days. In-house produced components and monitored procedures create quality materials and workmanship. For over 30 years American Weldquip has been a leading manufacturer and world-wide supplier of quality MIG welding torches, consumables and robotic peripherals. At American Weldquip, we realize your MIG torch investment and consumable usage is one of the major costs in your welding operation. We understand your concerns and have engineered innovative designs to help reduce your total cost of ownership. Through a rugged torch, designed to stand up to the roughest environments, to heat dissipation management for increased consumable life, we strive to provide solutions to MIG gun related issues better than anyone in the industry. As you view our website you will see our commitment to innovative designs, superior service and offering you the highest quality products possible. 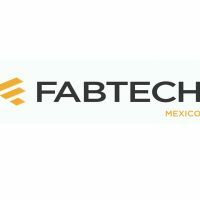 In addition, we are reducing our environmental impact in product design through the RoHS and CE compliance initiatives, greener manufacturing techniques and energy saving improvements throughout our facility. See how using genuine American Weldquip products can help reduce your MIG torch operational and maintenance costs. Do not be fooled by the imitators! All AMERICAN WELDQUIP semi-automatic torches offer unsurpassed performance not found in competitive brands. 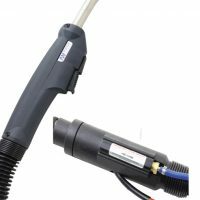 The AMERICAN WELDQUIP smoke extraction torches are available in 300, 400, and 500 amp models and are designed for superior weld smoke removal. AMERICAN WELDQUIP automatic torches offer you unsurpassed performance not found in competitive brands. 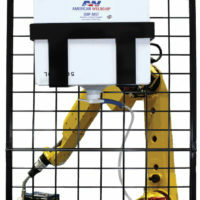 AMERICAN WELDQUIP offers you a No-Nonsense/Cost-Effective tool-center maintenance package for robotic MIG welding. The ArcSafe, MultiClutch and the NEW ArcSafe-SW manufactured by AMERICAN WELDQUIP provides the maximum collision protection in robotic applications. The NEW AMERICAN WELDQUIP Robo-Quip RQ-5000 Nozzle Cleaning Station has all the advanced features and benefits you are looking for in a robust and durable robotic nozzle cleaning station. The AMERICAN WELDQUIP nozzle reamer blades are designed for replacement on AWQ and other manufacturers OEM (CMI, Tregaskiss, Binzel, Nassarc, ELCO, Tweco) nozzle cleaning station equipment. AMERICAN WELDQUIP’S consumables act as a team to provide longest life you expect from MIG welding consumables. 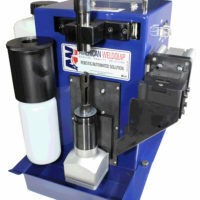 AMERICAN WELDQUIP introduces a major breakthrough in welding spatter control. Whether you are looking at increasing consumables life on a competitive brand torch or to commonize consumables during conversion of your plant to AMERICAN WELDQUIP torches you can enjoy the benefits of the WELDQUIP ADVANTAGE. The TIG-Point system offers precision longitudinal grinding of tungsten electrodes for use in TIG and Plasma welding applications. AMERICAN WELDQUIP wire conduit offering are designed for low drag and exceptional wear characteristics. View our product documents, in-depth manuals, catalogs and more. Browse our most recent news articles below or view our complete archive of news & event information.